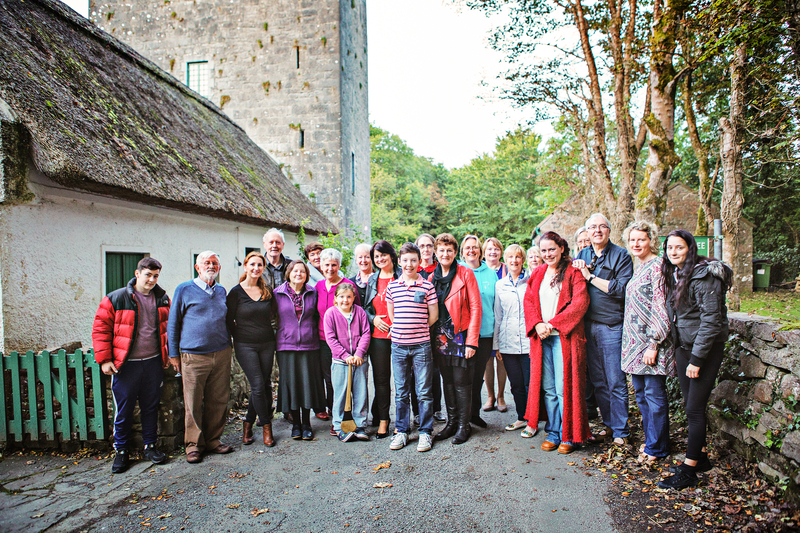 We are delighted to announce that Thoor Ballylee will be opening again in June 2016. 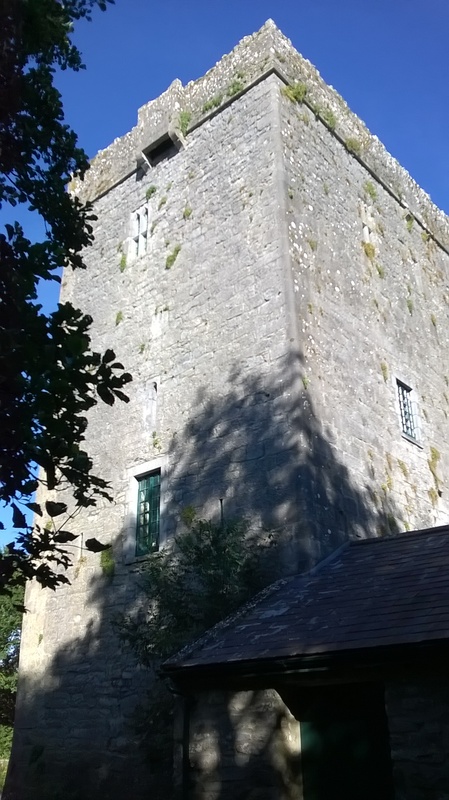 After being affected by winter flooding, the tower remains sound, and work has begun cleaning and refitting the tower ready for the summer. Thank you for your support so far! We’ve a way to go, so here’s how you can help further. 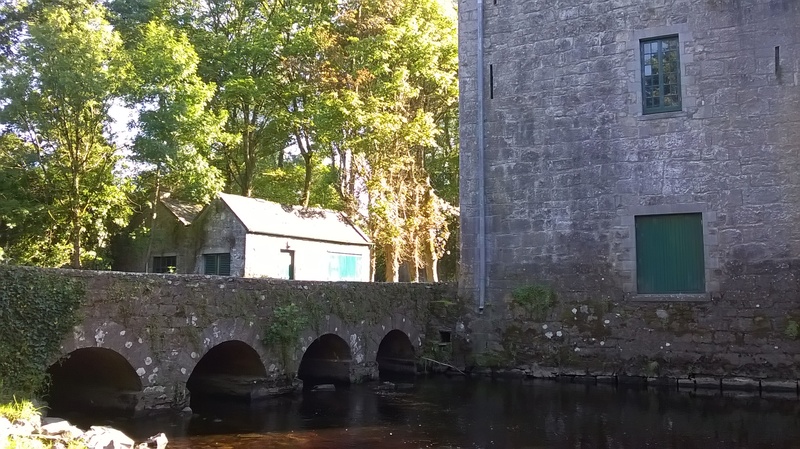 As you can see, the water is abated, and the exterior of the tower is unaffected. This is the view before recent jet cleaning. 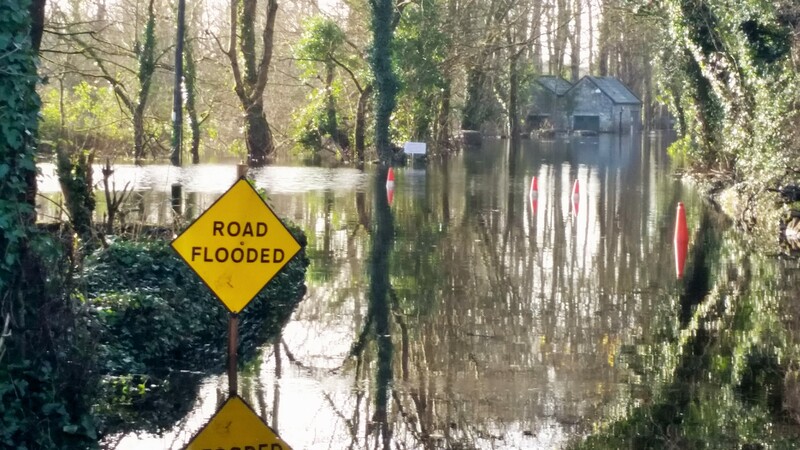 Flooding has been affecting the local area, but we’re happy to report things are improving. 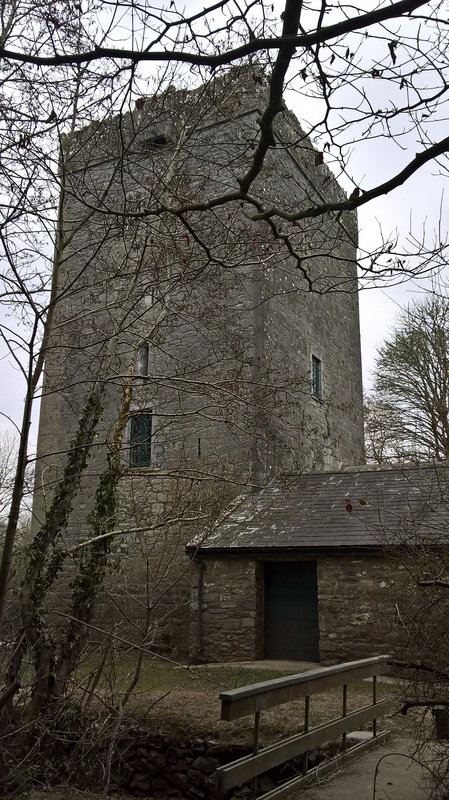 Yeats always imagined his tower as in tune with the seasons, and the engraving of his poem shows some of the high water marks over the winter. We’re very pleased to say that all is far from being in ‘ruin once again’! Work is ongoing to restore the tower to its pristine condition, and a full set of exhibitions and events planned. The doors of Thoor Ballylee officially re-opened on the occasion of W.B. Yeats’s 150th birthday on June 13th, 2015, after being closed for many years. Donations from local business people, artisans, and artists generated much needed funding to cover operational costs. To find out how you can help, click here. 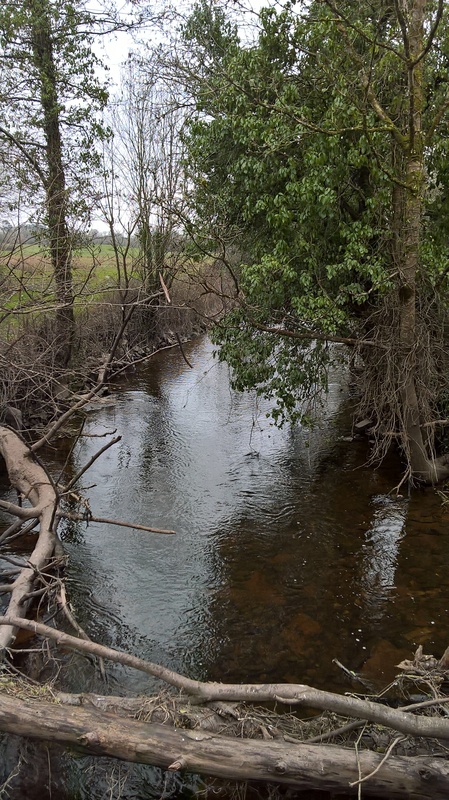 Accounts of many of last years events can be viewed in our blog. 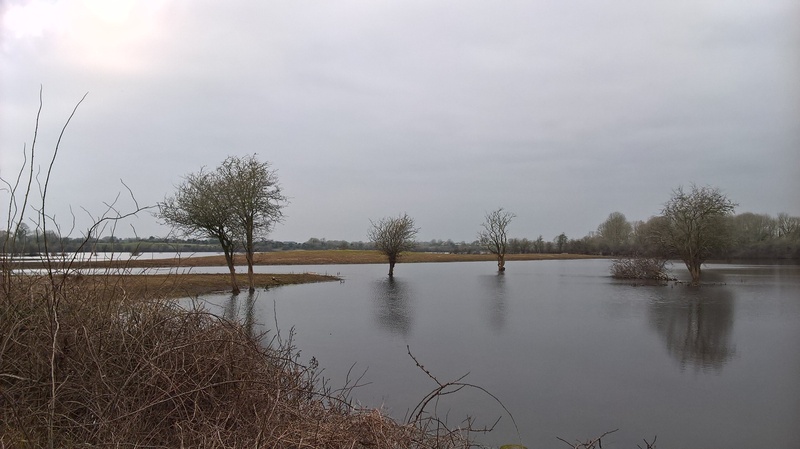 Thoor Ballylee has been affected by winter flooding near Gort and South County Galway but we are glad to report that it is structurally sound, and being readied for reopening. 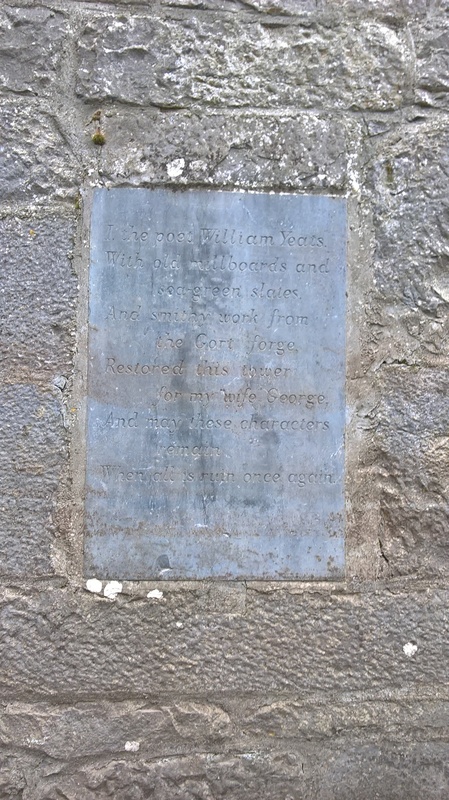 The Society had a good flood action plan in place, all electrical fittings were refitted to ceiling height in recent years and the contents of the tower were removed at the end of October. As the weather improves jet cleaning has taken place and Thoor Ballylee is starting to look like her old self. There’s still job to be done, and continued support and volunteers for this vital, but the tower’s planned summer opening in June 2016 will not be affected. There is more to do, and many more events and exhibitions planned for this year, itself representing an important anniversary of the Easter Rising, events remembered in Yeats’s poem ‘Easter 1916’. To find out more, how to visit, or how you can help look around our website at yeatsthoorballylee.org, and sign up for regular updates. We still need your support to keep the tower open for future generations: to find out how you can help, click here. You can email us on yeatsthoorballylee@gmail.com and you can like us and stay abreast on our facebook page. Do please keep in touch! We would like to say a big thank you to all our friends, supporters, volunteers, and visitors for their generosity and support. This coming year will feature a new programme of events, new challenges, and new excitements. Fabulous to hear of the reopening in June.